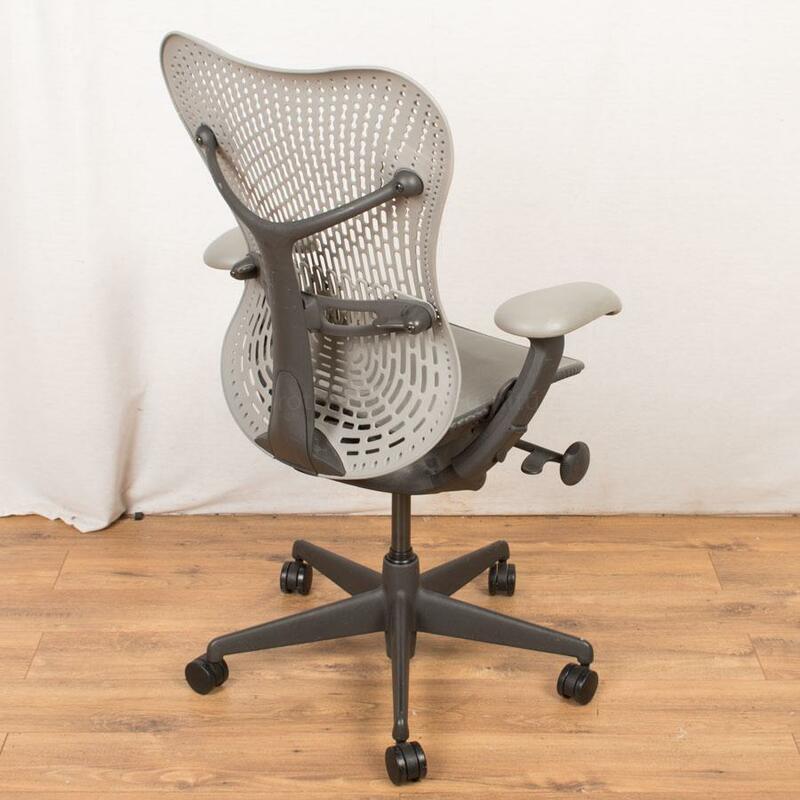 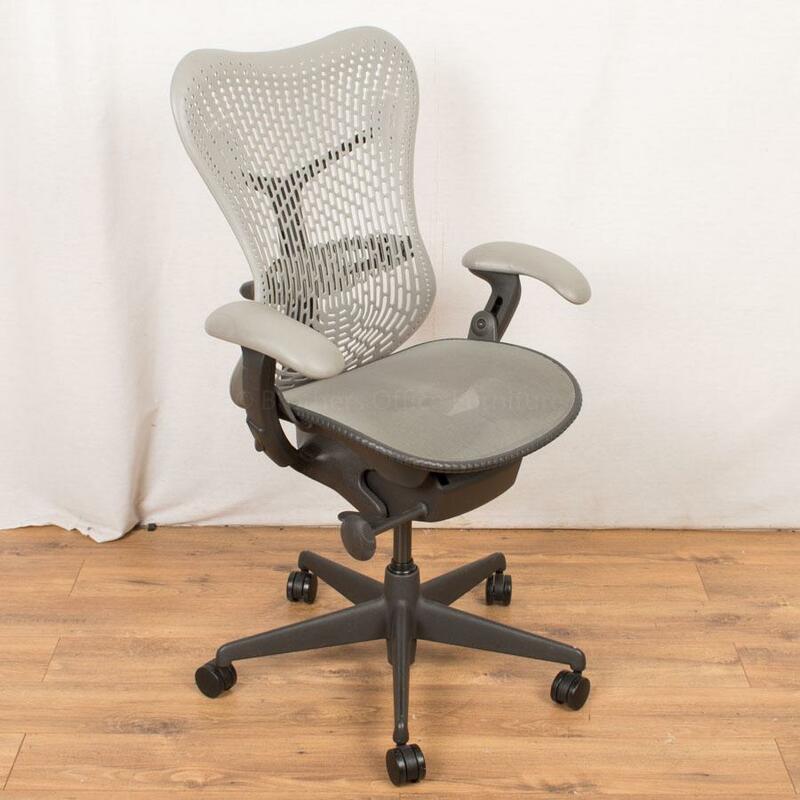 Featuring a striking pale grey hourglass-shaped backrest, the innovative Mirra chair is designed to move with the body, offering total ergonomic support so you can work in comfort. 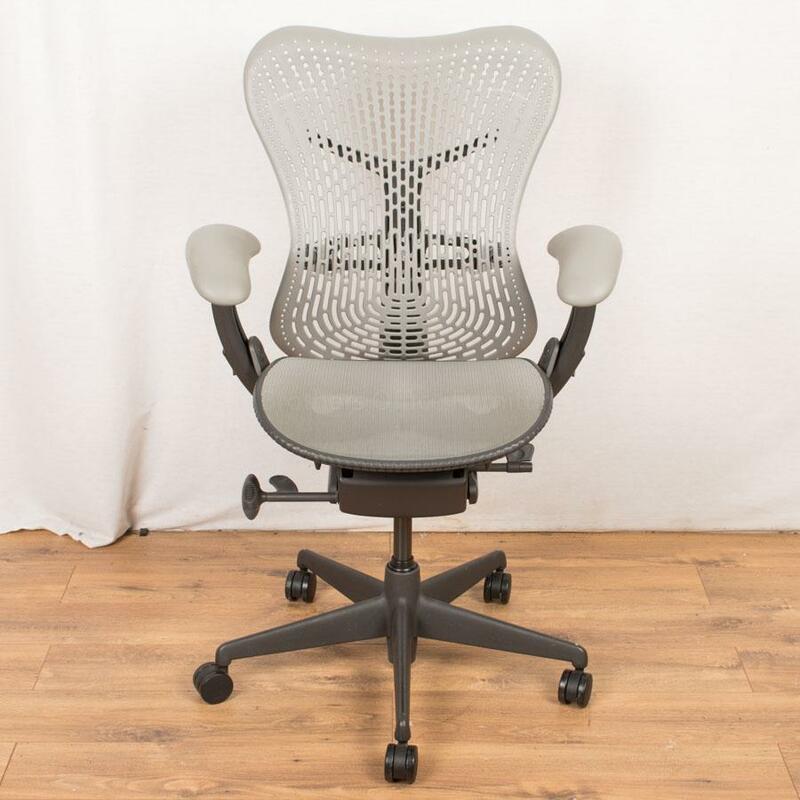 Acknowledged as the 'best chair in the world', the Mirra can be fine-tuned to suit your individual needs and way of moving with minimal effort. Suspension-control seat with breathable and responsive AireWeave™ mesh, which is strong, cooling and balances your body weight perfectly. 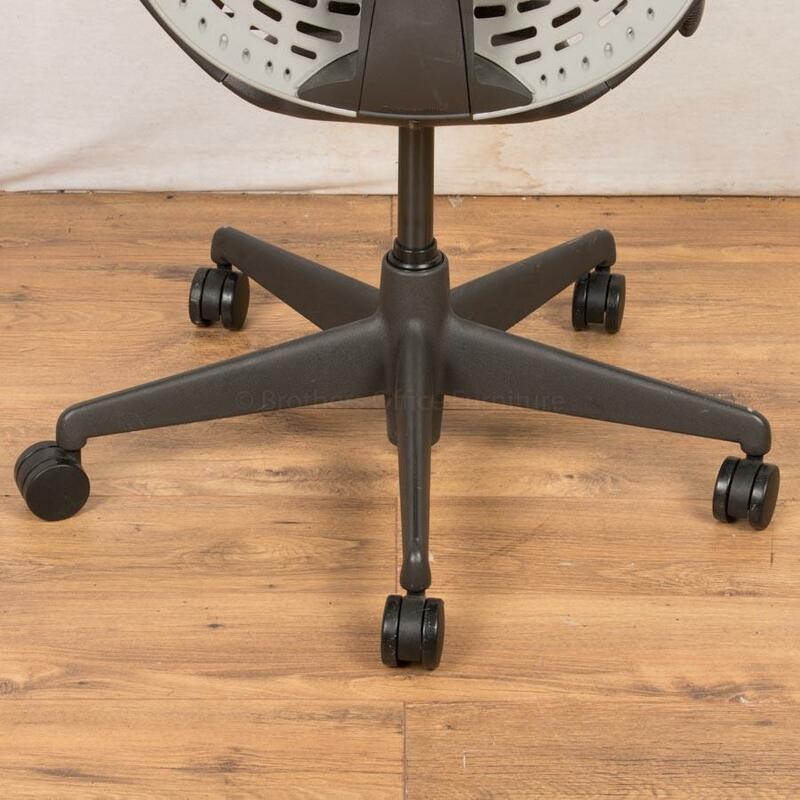 Flexible Triflex back which flexes and adjusts to your body and motion. 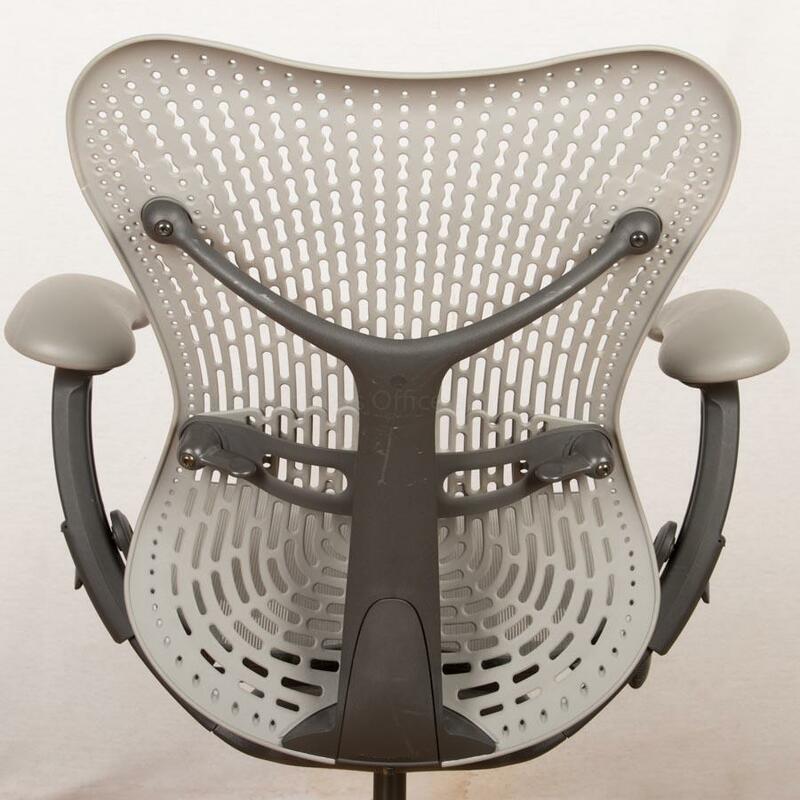 Three-way adjustable arms for height, width and angle, both inward and outward. 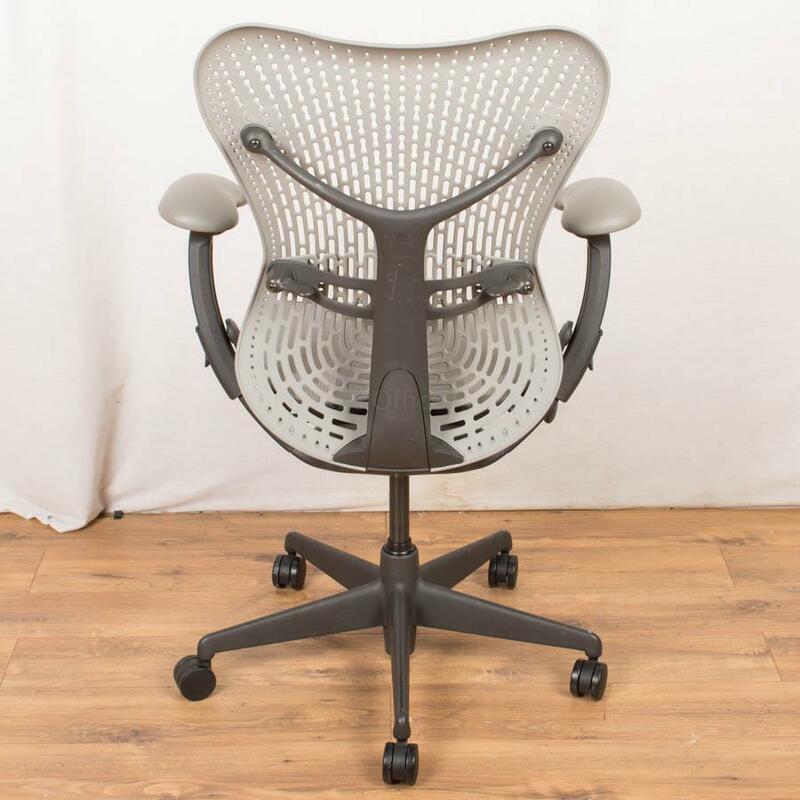 The Mirra is 96% recyclable.